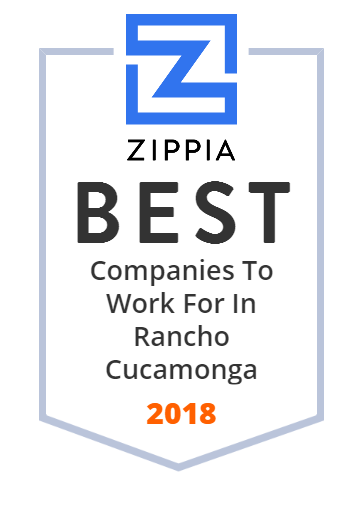 We hand-curated a list of the best companies to work for headquartered in and around Rancho Cucamonga, CA using data on salaries, company financial health, and employee diversity. Mercedes-Benz US International is a Mercedes-Benz automobile manufacturing plant near Vance, Alabama. Amphastar Pharmaceuticals, Inc., a specialty pharmaceutical company, focuses on the development, manufacture, marketing, and sale of generic and proprietary injectable, inhalation, and intranasal products. It operates in two segments, Finished Pharmaceutical Products and Active Pharmaceutical Ingredients. The company s product portfolio comprises enoxaparin, a low molecular weight heparin that is used as an anticoagulant for prevention and treatment of deep vein thrombosis; naloxone for treating opioid overdose; Cortrosyn, a lyophilized powder for use as a diagnostic agent in the screening of patients with adrenocortical insufficiency; Amphadase, a bovine-sourced hyaluronidase injection for the dispersion and absorption of other injected drugs; and lidocaine jelly, a local anesthetic product for urological procedures. It also provides lidocaine topical solution for various procedures; phytonadione injection for newborn babies; syringe products, which include critical care drugs, such as morphine, atropine, calcium chloride, dextrose, epinephrine, lidocaine, and sodium bicarbonate for emergency use in hospital settings; lorazepam injection for surgery and medical procedures; ketorolac for acute pain management; and procainamide for documented ventricular arrhythmias. In addition, the company manufactures and distributes recombinant human insulin and porcine insulin. Further, it develops Primatene Mist, an over-the-counter epinephrine inhalation product candidate that is intended to be used for the temporary relief of mild symptoms of intermittent asthma. Additionally, the company has a pipeline of 20 generic and proprietary product candidates in various stages of development for various indications. Its products are used in hospital or urgent care clinical settings, and primarily contracted and distributed through group purchasing organizations and drug wholesalers. The company was established in 1996 and is headquartered in Rancho Cucamonga, California. Chaffey Joint Union High School District is a 9-12 school district located in San Bernardino County, California, United States that serves the communities of Ontario, Montclair, Rancho Cucamonga, and portions of Fontana, Upland, Chino, and Mount Baldy. American Furniture Alliance has been manufacturing furniture for over twenty years. AFA has grown steadily from our humble beginnings of sewing bean bags out of a garage and selling them at swap meets in 1987. Advanced Coating is your Parylene conformal coating experts. We have Parylene N and Parylene C and Parylene D for you product needs.